FRANCE RACING RELOCATES TO RACE CITY, U.S.A.
MOORESVILLE, NC (August 1, 2014) – France Racing has moved their operations to Race City, U.S.A. (Mooresville, NC). Mike and team will return to the race track for the 2015 season, running against some of the best local track drivers in the country. While the 2015 schedule is still be developed, famed race tracks like Hickory, Concord, Bowman Grey and Dillon are all being considered. Helping rejuvenate the team is associate sponsorship from Victory Lane Domains. 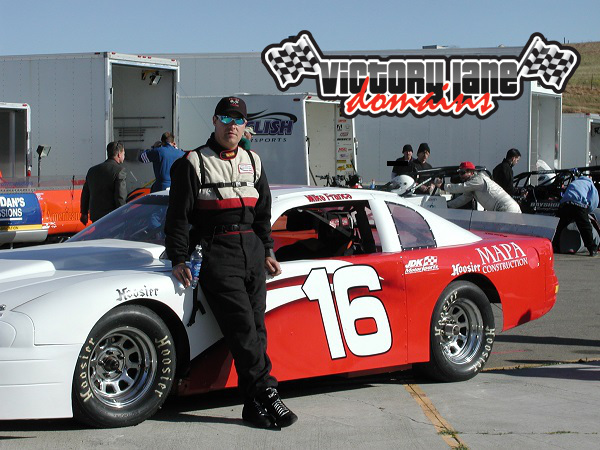 Victory Lane Domains understands the Racing community and makes registering Domain Names FAST, simple, and affordable. Victory Lane Domains also has a host of complimentary products, like Web Hosting, E-commerace solutions, Spam-free Email and more to make your new domain shine. Please be sure to visit the NEW Apparel/Merchandise page for T-shirts, Hats, coffee mugs, etc. NASCAR Late Model Trophy Crash!